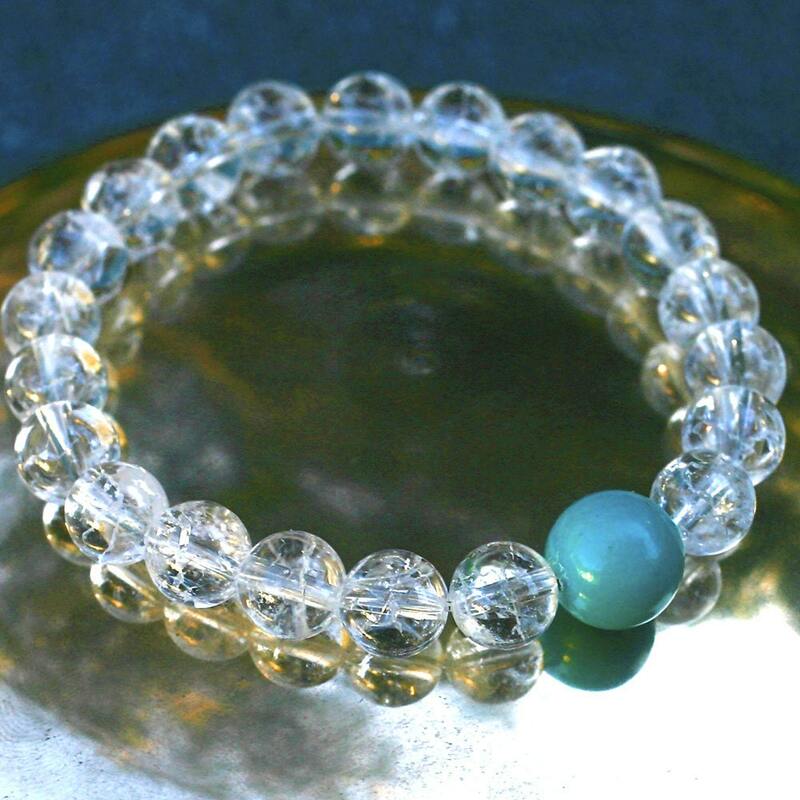 This 21 bead quartz crystal wrist mala has one brilliant turquoise howlite marker bead. You can wear this during the day to remind yourself to stay calm, centered, and positive on those difficult days. Also great as a yoga and prostration mala! I string these 8 mm quartz beads with love and prayer on durable stretch bead cord. About 6 and a half inches around on the inside, or 16.5 centimeters. If you want a larger one, let me know your wrist measurement and I'll put extra beads in it for you—no extra charge.